At least once a week I cook up a big pot of black or pinto beans and a rice cooker full of rice. Often it's for something like Burritos or Taco Sundays but I have found the left overs work perfect for this dish. 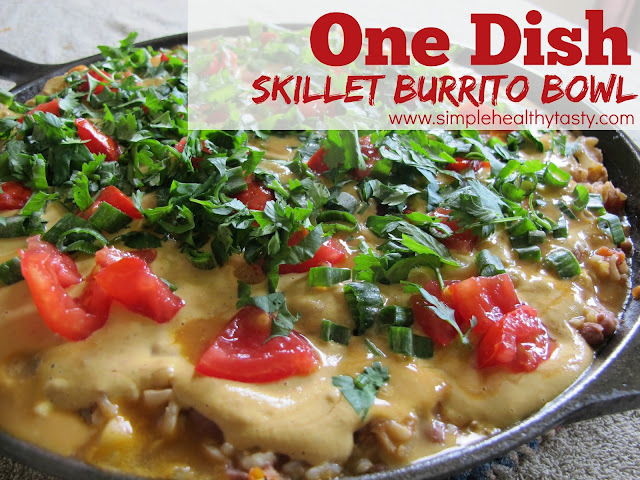 Using leftover beans and rice not only makes this a super quick meal to make in less than 30 minutes but it's also full of resistant starch because the beans and rice were cooked and cooled in the fridge before being heated again. This meal has quickly become another quick go-to staple of meals that takes under a half hour to make. I'm so excited to share it with you! 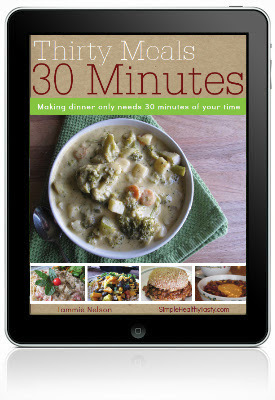 If you would like some of our other favorite quick meals be sure to check out newest ebook Thirty Meals 30 Minutes! In large skillet, heat oil and saute onion, peppers and green chiles. Add taco seasoning and corn stir till corn in warm add rice, beans and the rest of the ingredients. Mix together until warm and bubbly. Top with desired toppings.